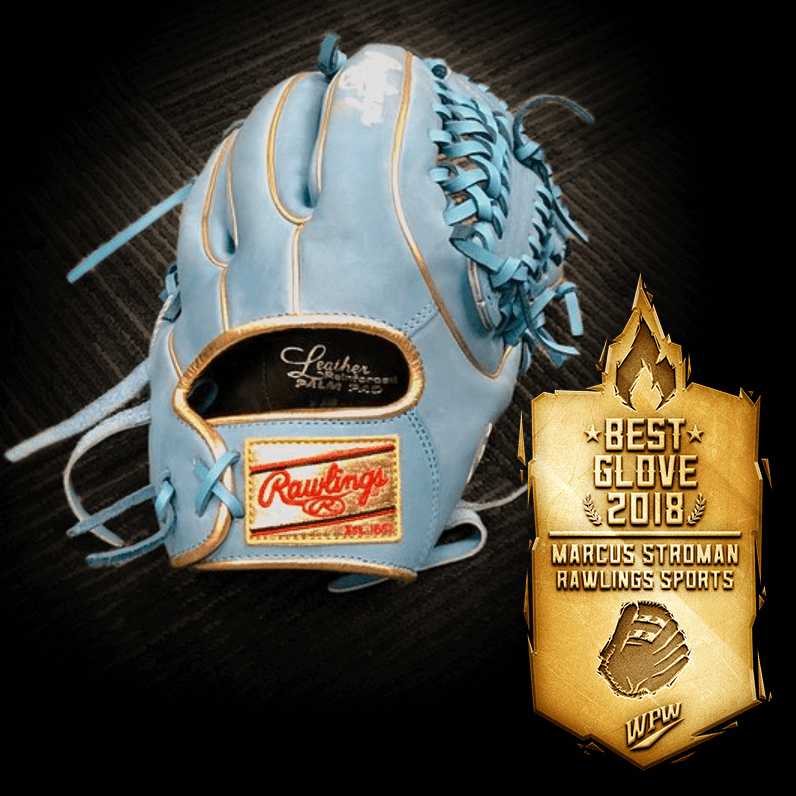 Your BEST OF WPW 2018 winner for “Best Glove,” Marcus Stroman’s Rawlings Heart of the Hide PRO315-4J is an 11.75″ inch columbia blue with gold trim bona fide STUNNER. When we were doing nominations, this one kinda slipped through the cracks and luckily a WPW reader reminded us about it. 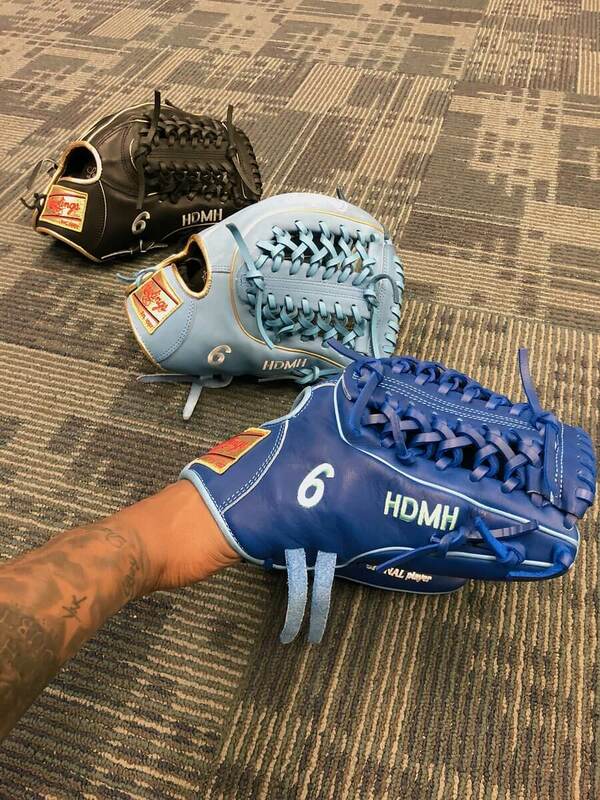 Stroman wasted no time cashing in on the gold labels after his 2017 Gold Glove award, combining them with gold binding and welting that made his gloves jaw-droppers. 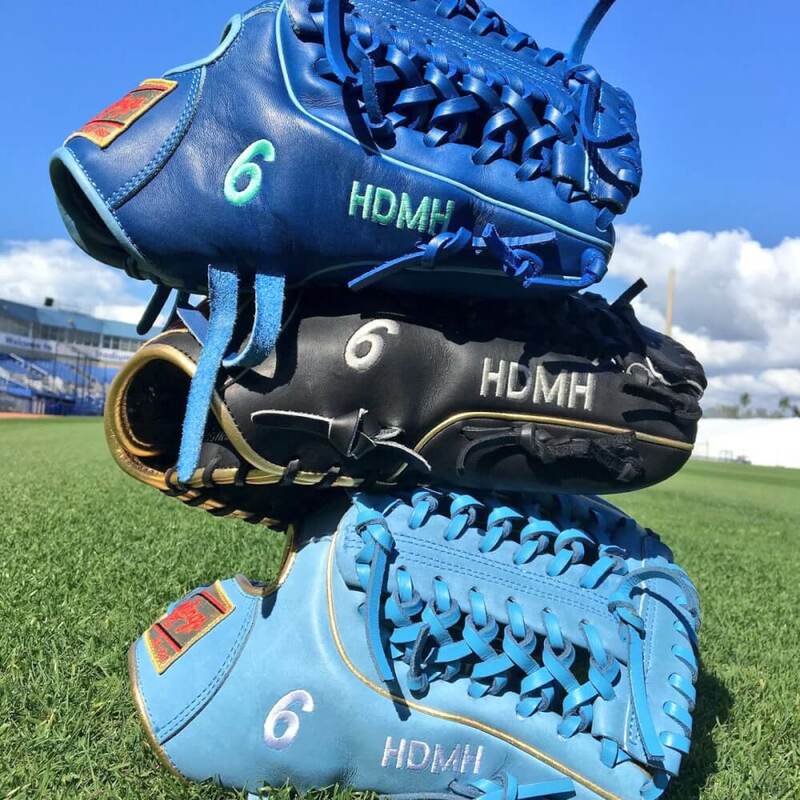 In the BEST OF WPW finals, Stroman’s columbia blue Rawlings beat Javy Baez’ camel one-piece SSK glove. Do you agree that its the glove of the year? You can shop this glove (without the gold labels) at the link.